basked filled with luscious blue or dark red fruit and vegetables does much more than look good in still life paintings or on your kitchen counter. It contains a wealth of incredible health benefits. 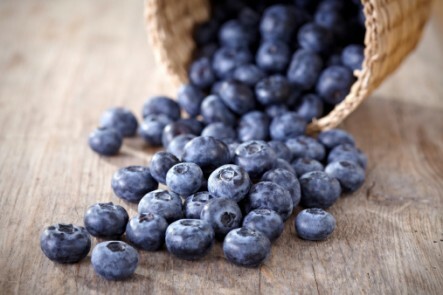 The top benefactor in purple foods is their antioxidant content. The powerful health benefits of antioxidants are only too well known: they neutralize the agents of aging and disease, and keep you looking younger longer. 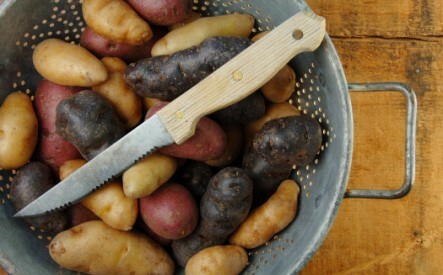 Now consider this: According to the USDA , potatoes with the darkest colors have more than four times the antioxidant potential than other potatoes. Remember: The darker the fruit or vegetable, the more antioxidants it has. Prunes, purple cabbage, eggplant, blackberries, black currants, purple onions, concord grapes: all of these have a natural purple pigment that contains flavonoids, including reservatrol, which keeps blood pressure in control and boosts immunity from certain cancers. The skin of a black grape, for example, has this pigment, called anthocyanin. In cranberries, the purple pigment is seen to benefit those suffering from infections of the urinary tract. 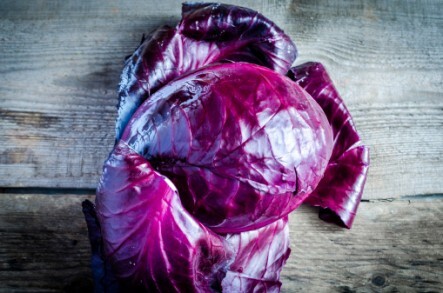 There is evidence that purple foods improve heart health, vision, and brain power. 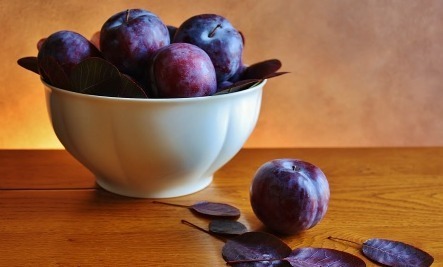 Recent studies found that adults who eat purple and blue fruits and vegetables have reduced risk for both high blood pressure and low HDL cholesterol (the “good” kind); they are also less likely to be overweight. So, with so many wonderful reasons to eat more fruits and vegetables of the purple family, get more of them into your daily diet. And don’t stop at eggplant and berries. 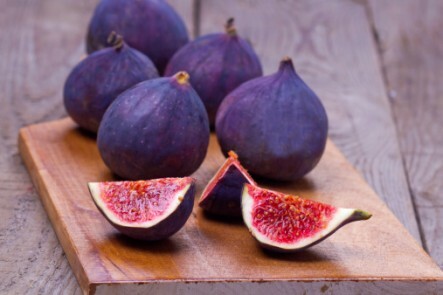 Exciting purple varieties of corn, asparagus, figs, potatoes and such are yours for the tasting and enjoying! Writer, editor and journalist Shubhra Krishan is the author of Essential Ayurveda: What it is and what it can do for you (New World Library, 2003), Radiant Body, Restful Mind: A Woman’s book of comfort (New World Library, 2004), and The 9 to 5 Yogi: How to feel like a sage while working like a dog (Hay House India, 2011). Are You Alkaline or Acidic? Test Your Diet With This Quick Trick!